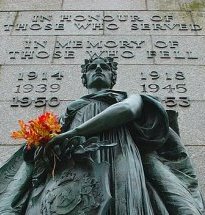 Jon is a retired Metropolitan Police Officer and an independent guide to the battlefields of the Western Front 1914-18, with over 37 years experience. He specializes in taking small groups of 1-10 persons, on private and personal, ‘bespoke’ tours to the Battlefields of the Great War. He is also available to professional tour & travel companies and in 2014 was the principal guide for the Daily Telegraph Centenary Tours. 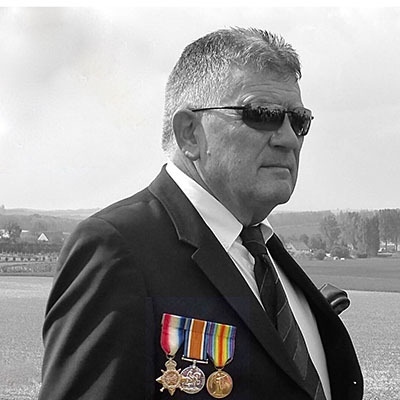 With a unique knowledge of the old action spots, he is in constant demand as a battlefield guide and led his first tour to the Somme in 1978 with a battlefield group formed by London Police Officers, known as the ‘Hampstead Pals’ of which he is the founder. He also loves that corner of northern France which is so historically and emotionally connected to the people of Britain and her Commonwealth. He is the author of ‘Cheerful Sacrifice – The Battle of Arras 1917.’ Canadian and Australian visitors to the battlefields are his specialty. Jon is recommended as a guide by the Commonwealth War Graves Commission.